If you have a question which is not answered on this page, register (or log in) and start a forum topic. Otherwise you can email us on gm@orienteering.org.nz. Orienteering is a sport that involves using specially drawn maps and usually a compass to navigate around a course. It may be competitive, or it may be treated as a pleasant recreation for a group; it all depends what you want to make of it. All ages are catered for, so this makes it an ideal family sport. Orienteering can take place anywhere interesting enough for a map to have been made, and where access is available. Maps document the shape of the land, and details such as vegetation, paths, fences, waterways, buildings etc., using recognisable symbols. Events may take place in parks, forests, farms, schools and other urban areas. Orienteering is a very low environmental impact sport. 2. What are the different types of orienteering? All forms of orienteering use maps specially developed for the sport of orienteering. The orienteering map will show a course comprising checkpoints marked by red circles. Participants either navigate the checkpoints (or controls) in a set order or randomly in a set time. The major types of orienteering are determined by how the orienteer traverses the mapped terrain, as follows. Foot Orienteering: This is the longest established form of orienteering and the type for which the most events are held. Top orienteers run as fast as they can navigate. Participants can also choose to walk, or walk and run in combination, depending on their skill level, fitness level, and competitiveness. Mountain Bike Orienteering: Using a special mountain bike orienteering (MTBO) map, the orienteer uses the track information to find the best way to get from control to control on their bike. All control points are on tracks. Ski Orienteering: Entails orienteering while on cross-country skis. New Zealand has limited terrain for ski orienteering, but it is available occasionally, usually in the South Island. Trail Orienteering: Participating trail orienteers do not leave a well-formed trail, but need to interpret the correct feature from what is drawn on the map. This enables orienteers with a disability to compete on equal terms with others. Within foot orienteering, MTB orienteering and ski orienteering, events may use either line (point-to-point), or competitor determined (score) courses. Line (Point-to-Point)Orienteering: These are the most common orienteering events. An orienteering course involves visiting a number of checkpoints (controls) in order. These are pre-marked on a map with numbered circles. You are supplied with a map and a list of the unique number and description of each control. You must navigate around this pre-set course, finding the controls in the correct order. When you get to the control you see an orange and white flag (see picture), which has the unique number on it. To prove you have been there you use a clipper on a card that you carry, or insert an electronic key (ECARD) into the electronic SPORTIDENT box on the control. At the finish the elapsed time is recorded either from a clock, or from the ECARD which is downloaded to produce a record of overall time, plus split times between controls points. All checkpoints must be visited and, if it is a competition, the fastest person wins. Score Orienteering: Participants navigate through the checkpoints in the order they choose, attempting to visit as many in the designated time. Often the checkpoints are given different points values so that if it is a competition, the orienteer with the most points wins (otherwise the winner is the person with the most checkpoints visited in the shortest time). In this case it is not just about navigation and route choice, but also selecting which controls to visit and the order in which to visit them. There is no penalty for not visiting all checkpoints, but time penalties are incurred if the orienteer takes longer than the designated time. Sprint distance events employ the least degree of navigational ability, but because of their short length require a high degree of speed across the ground. Winning times for each grade are about 12 to 15 minutes. Middle distance events employ the highest degree of navigational ability, but over a shorter distance than long-distance events. Long distance events require less navigational ability than middle-distance events, but are longer than middle distance events. Endurance events (usually termed mountain marathons) are normally done in teams. Navigation can be simpler than in the shorter forms described above, but participants need to be able to compete for several hours or even longer. Score events are usually distinguished by the length of time set. Up to two hours they are usually called score events and can be done individually or as a team. Events longer than two hours are termed rogaines and usually are required to be done in teams. Rogaines can be as long as 6, 12 or even 24 hours. In these events participants may return to the event centre as many times as they like and do not have to stay out for the entire time allowed. Penalty points are deducted from the overall score for a late return. Other than the endurance disciplines described above (mountain marathons and rogaines), orienteering events are individual competitions, although it is often possible at recreational events for friends and family members to complete the events together. There are also specific team relay orienteering events. Relay Orienteering: Usually with teams of three or five. 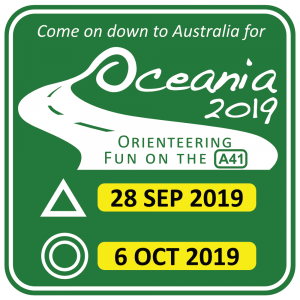 All orienteers competing may start at the same time or second and subsequent runners may start on the return of the previous runner. There may be slightly different courses to discourage following. The majority of orienteering events are conducted in the hours of daylight, however there are some specific night orienteering events. Night Orienteering: Orienteers are allowed a torch or headlamp. The controls are near features that you can find in the dark and usually are marked with reflector tape. Moreover, 24-hour rogaines, and often 12-hour ones, as well as the longest mountain marathons, also entail night navigation. 3. What is the best way to give orienteering a go? Local clubs hold orienteering events for different levels, and often offer a discount for newcomers. The best way to give orienteering a go is to check out what orienteering events are happening in your local area (search in Events & Results) and turn up at the allocated time. Alternatively look up orienteering clubs in your area and check their websites for details, or contact the local club directly (check out Orienteering Clubs of NZ), especially if you are unsure where the event is. When you arrive, identify yourself to the organisers as being new to orienteering and someone will advise you which course to do and give you some basic tips. There are permanent courses in several parts of New Zealand, which may be visited during park opening hours. Check out the Permanent Orienteering Courses section of the website. Special equipment is not necessary; just wear clothes and shoes suitable for walking or running. If the weather is cold or wet make sure you have enough clothing. Maps and a list of the controls are provided to you at the event. You may hire an ECARD at the event. Bring a simple compass to help you navigate. Some orienteering clubs loan compasses. 5. How do I know which orienteering course to do? At any orienteering event there will be courses of different lengths and difficulty available. These will be advertised at the Event Centre where you register. If you are new to orienteering, consider the length of the course and the navigational difficulty. If you are fit but not experienced you may want to do a longer course, but one of easier navigational difficulty; or you may prefer a shorter course which is more navigationally challenging. In competitions, winning juniors may take about 30 minutes, while the top competitors choose a course that takes 60 to 90 minutes. White Course: Courses follow drawn linear features (tracks, fences, streams, distinct vegetation boundaries, etc.). Compass use is limited to map orientation only. Yellow Course: Control sites on or near (<50 m) drawn linear features (tracks, fences, streams, distinct vegetation boundaries, etc). This gives the opportunity to follow handrails or to cut across country (i.e. limited route choice). Compass use is limited rough directional navigation. Contour recognition is not required for navigation but simple contour features may be used for control sites. Orange Course: Courses have route choice with prominent attack points near the control sites and/or catching features less than 100 m behind. Control sites may be fairly small point features and the control markers need not necessarily be visible from the attack point. Simple navigation by contours and rough compass with limited distance estimation required. Red Course: Navigation is as difficult as possible with small contour and point features as preferred control sites (no obvious attack points, no handrails etc.). Route choice is an important element in most legs. More information on the formal competition rules of orienteering are found in the ONZ Competition Rules. 6. How do I know which grade to enter? More competitive orienteering events are divided by gender and age. Sometimes different options will be available within the more popular age grade categories. Men’s and Women’s Elite is the highest level, but outside that “A” grade is the top category, with “B” and “C” grades run on easier courses. Your age grade is based on your actual age as at 31 December on the year the event is being held. For grades up to age 20 you have to be that age or less on 31 December of the year the event is being held. For example, for M20 you must be 20 or less on 31 December of the year the event is being held. For grades for 21 and over you must be that age or more on 31 December of the year the event is being held. For example, for M35, you must be 35 or over on 31 December of the year the event is being held. Also note that depending on the size of event, some age grade categories may be combined and not all age grade categories may be available. Open grades may exist for those who want to run on a particular course, which is outside that assigned for their age. Some major events require pre-entry – don’t miss the entry date. 7. How and where do I start? Once you have decided on a course and registered, make sure you have all your necessary gear (map, control descriptions, compass, ECARD or Clipcard, plastic bag in wet weather) and follow the signs to the start area. In more serious competitions, maps will be given out at the start line and there will be a start marshall. Start times may be pre-set and staggered to discourage following. Otherwise, make note of the time you start. The course Start point is marked on the map by a triangle. The finish is two concentric circles. The North lines on the map are magnetic North i.e. if you have your map correctly oriented the compass needle lies along these lines. 8. What happens if I get lost? Choose a course suitable for your ability. Complete proper registration procedures and make sure you always check in at the finish, even if you do not complete your course. This means organisers have an accurate record of who is still out on the course and can take appropriate action to find any lost competitors. Take note of the safety information for the event, including the safety bearing – usually notified at registration or ask the organisers. Key geographical features and the safety bearing can generally be used to navigate to a major features such as a road, which can help get you back to the finish area. If you are still nervous, considering doing a few events with a friend until you get more confident. 9. Why should I join an orienteering club? Orienteering clubs are run by volunteers and their main role is to organise events for fellow members. By joining a club you gain discounted entry fees to all orienteering events put on by any club. If you want to be eligible for a title at major event you must be a member. You can also access coaching and resources, and enjoy social opportunities with other club members. Orienteering clubs are generally organised by geographical areas, but you do not have to be constrained by this. 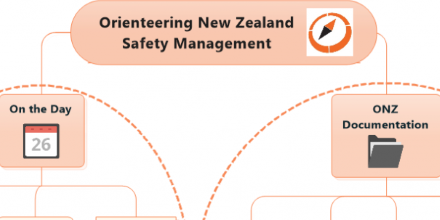 Refer to Orienteering Clubs of NZ for the details of all orienteering clubs in New Zealand. 10. Are there discounts for entering orienteering events? The main way to get a discount for entering orienteering events is to join a local orienteering club. Some event organisers will also offer discounts for families, juniors and senior competitors. If an event is part of a series of events, you may also be eligible for a discount if you enter all events. 11. How do I improve my orienteering skills? The best place to start is the Coaching group section of this website, where there are resources which you might find useful. 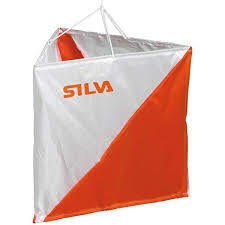 Your local orienteering club should also be able to help by providing coaching sessions for different levels of orienteer. The best way to improve is to do lots of different events. 12. My school is interested in orienteering, how do I access resources to help us? The best place to start is the Schools Orienteering section of this website, which can point you in the right direction of resources, contact details and latest schools commentary through the forum section. 13. How do I find out about news and other developments in the sport of orienteering? This website is a good starting point. Also check out the our Facebook page. If you want to stay in touch sign up for the regular newsletters through this website.